We adore this new addition to the popular St Ives traditional exterior lighting range, made from hot dipped galvanised steel. 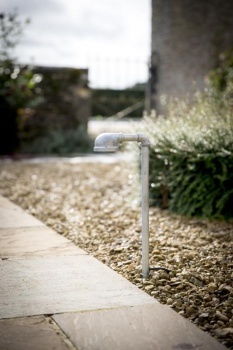 With its wonderfully vintage nautical looks, our St Ives Standing Path Light is designed to withstand even the windiest and wettest of coastal locations and is completely weatherproof. A wonderful way to shine the way up the garden path, create mood lighting amongst the borders or give an added glow to those balmy summer evening parties on the patio. Includes sealed 3W LED and driver unit.